The outdoors gear world is full to the brim with stuff: from beanies with integrated headlamps through to Personal Locator Beacons. Some of it you want, some of it you need. 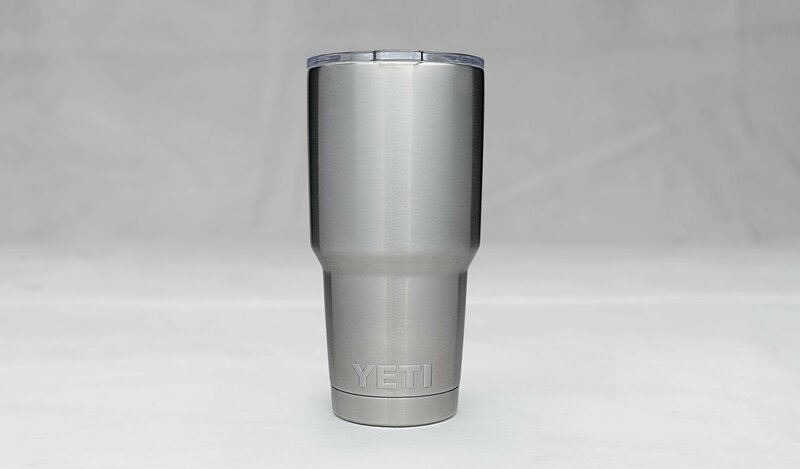 If what you need is a bomber, insulated, 837ml stainless steel tumbler then I’ve got good news: the Yeti Rambler (rrp $44.95) has arrived. Where/how the hell am I going to use this? I really had to rack my brain for the answer to question 2. Luckily I had a late night drive to the Blue Mountains for a family weekend trip, which required caffeine. I made a massive cup of tea for me and my partner. The tea remained wonderfully hot all the way from inner Sydney to Wentworth Falls, including a dinner break – about 3 hours in total – even though the plastic, sealed lid is not insulated. 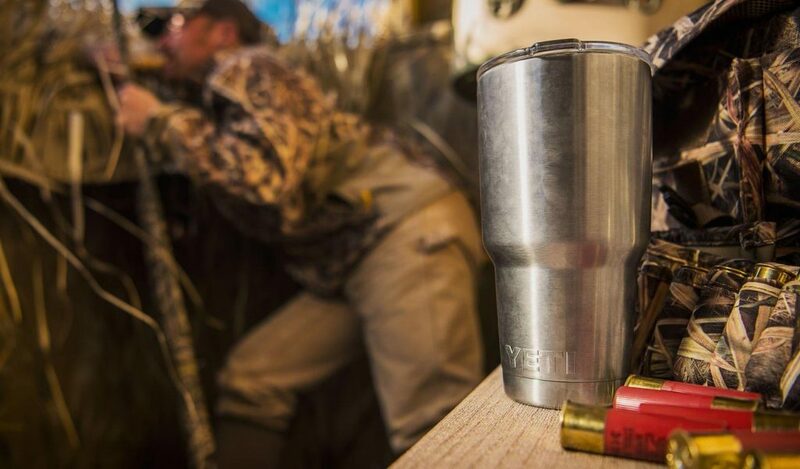 The Yeti Rambler: great for keeping your coffee hot while you wait for a deer to shoot, apparently (source: Yeti). All-in-all: it’s a quality piece of kit, something you’d expect from a leading cooler maker. The problem is, I haven’t been able to find any other opportunities to test it out, despite a 2-week road-trip around South-West WA. The thing is just way too big: we didn’t even manage to finish our cup of tea. Between two people. Sadly 800ml+ is more beverage than I can handle in one sitting. My go-to Klean Kanteen (uninsulated) is 532ml and that gets me through most short day walks. My KeepCup weighs in at a bit under 200ml: perfect for a cup of coffee or tea while camping. Most of the (US) reviews I looked up online praised the Rambler for its ability to keep almost a litre of soft drink icy cold while it sat in their car’s cup holder for a day. That’s just not me. 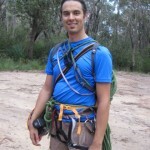 I suppose it would be great for sipping a whole longneck of beer while you watched the footy. Or maybe you’ve always wanted to smash a bottle of cold bubbly without getting up from your camp chair to refill it. Or maybe having 24 icy-cold teaspoons of sugar in soft drink form on hand for your daily commute sounds like a dream come true. If that’s the case, get ye to your local Yeti supplier right now! PS I think they make tumblers better suited to mere mortals like me too – like a 10oz version. I’m sure they’d be awesome. I would have loved a 900ml insulated bottle of this quality too.